Hey everyone! 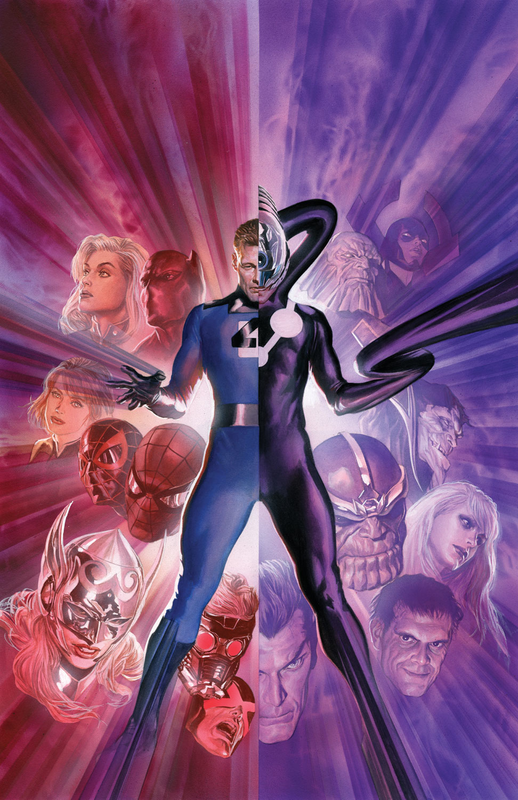 Yesterday I posted my Summary of Secret Wars,(and if you didn’t read it then go-hehe) and if you remember I promised that I will post a Secret Wars #1-4 Thoughts. Today is the day. Big SPOILERS ahead so you had your time to leave. Secret Wars was SO FAR amazing. If you remember what I wrote, this might be one of the best events Marvel has published over the years. For me that’s amazing, but I have to reveal the truth about something that I was ashamed of(actually 2 things), but I will get to that at later. Let’s start with the goods. Secret Wars started with the destruction of everything! Everyone you loved and hated died. But we find out that Doom is a god(I won’t go much into story plots, because that’s what my summary is for). My #1 thing I should be ashamed of is that I was never a fan of Dr. Doom, but in this story-thanks to Hickman’s writing- I realized the true potential of Doom. Dr. Doom easily became one of my favorite villains, when he literally used to be one of my least favorite. 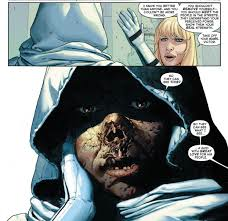 Hickman showed me the layers of Dr. Doom that no other writer could. He showed what Victor stands for and why. We also get to see Dr. Doom’s face!!! My next little thing that I should be ashamed of, is that I used to hate Jonathan Hickman’s writing. I thought it was too long, boring and not much happened because he put the heroes sometimes too much aside. Well when I read this comic, I realized so many things that I just viewed wrong about this guy. I actually wanted the issues not to end, because they were so amazingly done. When I actually sat down and read everything what he wrote there was no more boring parts. So to what I am getting here is, that if you were one of those people who didn’t like Hickman’s writing, then this will change your mind. Not only that, but you will realize that all the things you hated about his writing style. you know adore. Let’s move into the event itself. I loved the parts when Doom snapped Cyclops’ neck with ONE FRICKING ARM!! !-who was in his Phoenix Force mode. This shows that all the heroes are no match for god Doom. Dr. Doom also commands the Thor Corps-yup, that’s crazy and awesome. I love how so many different characters get there best moments in this comic like, Dr.Strange,-who sacrifices himself at the hands of Doom-like Reed Richards(who hasn’t had an amazing story in a while along with the rest of the FF). All the world building in this comic was perfecto. And let’s not forget about the art itself. The art was done by the great, Alex Ross. The face expressions of everyone and the details on everything such as a plant were detailed and precise. This guy could make piece of crap look amazing and realistic-and it is super hard to draw a realistic crap, OK?!?! Ross created a masterpiece as always. But, Olaf! But what about the bad things? There isn’t any, yet. If you haven’t bought this series, DO IT! Speaking of it doesn’t do it justice itself so, please do it. I hope you enjoyed this article. Next I will analyze the covers Marvel has released which will take place after Secret Wars. Make sure to share all over the social media, haha. Thank you so much for reading! I am so happy that you guys are interested in my material. For more awesome comic posts stay here, on the Comic Booger. Now excuse, but let me get back to reading some random Hickman stories!